A recently completed build by Imperial Homes is going up for an MBA award. We got some nice weather in between some really wet days. 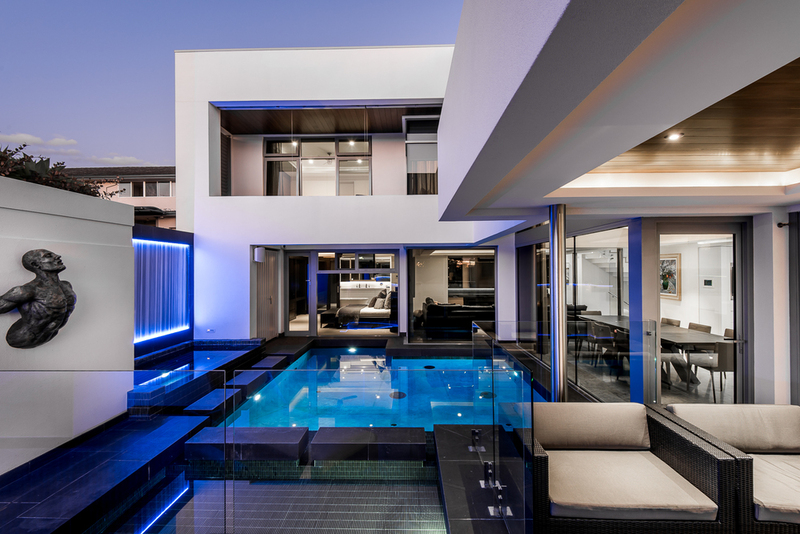 The house being built around the central pool gives a modern resort feel with straight lines a plenty. A nice twilight architectural shoot for Imperial Homes Perth.